Cut the cantaloupe in half. Scoop out the seeds and cut the flesh into chunks. Sprinkle the crystallized and ground ginger over the cantaloupe and stir. Chill thoroughly before serving. 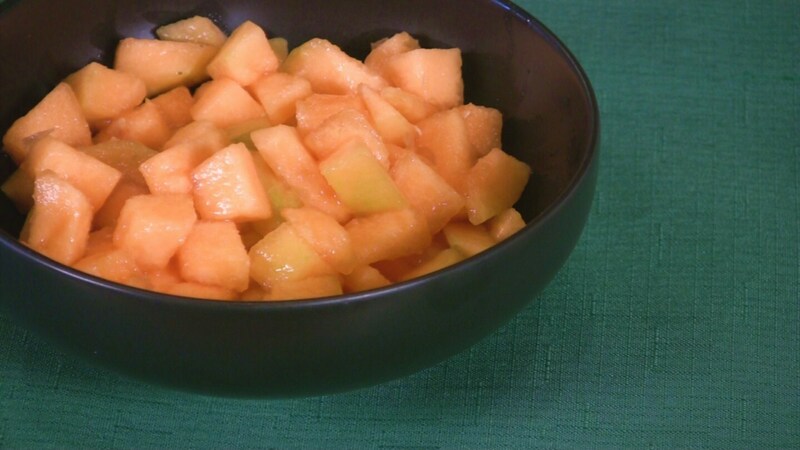 Stored in a covered container in the refrigerator, leftover Gingered Melon will keep for up to 2 days.